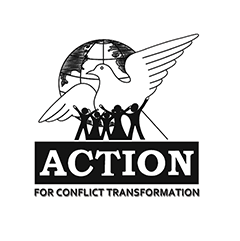 The Applied Conflict Transformation course brings together practitioners from across the continent to share experiences and deepen their understanding of conflict transformation. The course is offered twice every year. The workshop approach to learning uses a fine balance of pedagogical methods that includes analysis from specialist resource people, inputs on critical conflict issues facing the continent, conceptual frameworks, detailed case studies and creative participatory exercises. 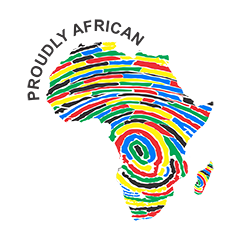 Develop a vision for Africa that reflects African values and capacities for peace. Using examples from across the continent, the course has been designed specifically for people who want to focus on conflict in Africa and connect this focus to the global context. Most of our courses also include participants from contexts outside of Africa, who are able to adapt the learnings, and add their contributions to perspectives that assist in making the lessons from the course globally relevant. The course includes a set of analytical skills and strategies for analysing and engaging with conflict, as well as a focus on insights derived from new forms of resistance and change and their implications for Africa and beyond. The workshop includes field visits to the Apartheid Museum and Constitution Hill with specialist resource people coming in to give presentations on relevant issues designed in response to the expressed needs of participants during the application and selection process. Participants should bring to the course case studies and examples of conflict transformation from their own experience and research. Throughout the course there is a strong focus on the need for individuals and organisations to form learning networks, and coalitions and alliances with others working in similar fields. Another important element focuses on the self, encouraging personal reflection and development. To be an article or creative expressions contributor, all you have to do is contact us with information about what your area of interest is; what you would like to write about, or whether you are an artist/poet/photographer etc., and we will add you to our contributor database, and contact you whenever we are producing issues relevant to your area of interest. You can also become a Drums of Change registered distributor. When we have printed editions of Drums, we will send you free copies to distribute to your network of contacts and at events. You do not have to be in South Africa to qualify for this role, as we will be seeking to distribute the copies as widely as possible across the world. Finally, you can become a Drums of Change partner. In this capacity we will play a collaborative role in sourcing quality articles and content. This may be of interest to universities, research institutions, media houses and writing associations of any kind. The benefits will include article sharing, a free platform for activists, authors and artists to have a voice, and a world-wide distribution plan to ensure their voices are heard far and wide. Opportunity to be part of the ACTION Support Team! The Support Team is a network of individuals committed to conflict transformation. Workshops are regularly organised for the Support Team, who are also directly involved in the programmes and events of the ASC.